Evelyn Brooks Designs began showcasing at wholesale shows about two years ago. And little by little I have discover that a jewelry entrepreneur in order to bring its brand to other markets you have to travel and showcase your products to different markets. The 1st show was in Baltimore and then Philadelphia through the Buyer’s Market of American Craft. We are in the process to apply to the Atlanta and the New York Summer shows, too. 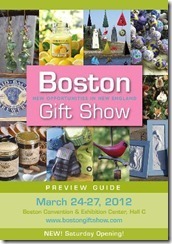 But in the meantime I began my research about the well known Boston Gift Show. It only happens once a year in Boston(of course)and it opens the opportunity for your products to be seeing by buyers predominantly from Canada, Upstate New York and New England. Which in all honesty is a total new market for us. I first call the organizer Erica Davidson and after a few questions, she asked me that she needed to see my work and if I had a website. I said: of course. After she looked at my website she said I have never seeing anything like this before. That was an honor cause trust me getting in to these wholesale shows it isn’t easy. The rest was paperwork and getting my final approval. I recently booked my tickets with JetBlue and did not even know they had lots of flights from DC to Boston so that allows me to leave to Boston the day before the show, set up on-time and come back home the day it ends on March 23rd at around 8p…isn’t that great? So I can be with my little one to say good night, and my big one (hubby), too. Let me share this with you, too. I booked my hotel through the Boston Gift Show site. They have a corporate rate with great prices for exhibitors and I will pay less than if I get a friends & family discount which I always try to get through my hotel friends & family contacts. 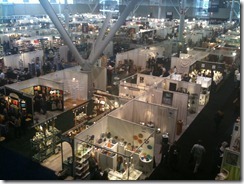 I am truly excited to be part of the Boston Gift Show! I have never being to Boston but since I love traveling I am not afraid of going to a new city, meeting some new faces and showcasing my jewelry designs to a whole new market, I know it will be another jewelry adventure where I will gain experience regardless if we have a good or bad show. <img src="http://lh3.ggpht.com/-RI5uOPT3Vk4/T1dhoNL_6PI/AAAAAAAABZA/QuYRyBGbjHw/videoc84eb6ebe4b5%25255B21%25255D.jpg?imgmax=800" style="border-style: none" galleryimg="no" onload="var downlevelDiv = document.getElementById('c0da7f16-e367-4481-993f-bad866ef622b'); downlevelDiv.innerHTML = "